Before departing Kuala Lumpur for Chinese New Year 2019 celebration and revel in a plethora of lunar new year’s delicacies on this occasion, my friend and I decided to treat ourselves to a dinner to satiate our taste buds with Western delights! After being overwhelmed with too many choices, we found out Mezze Bar & Bistro – a Western, Mediterranean restaurant which was awarded “Certificate of Excellent 2017” by TripAdvisor. Known for its exceptional service and excellent dishes, Mezze Bar & Bistro is definitely our place to be. Of course, we took this chance to introduce to you 3 delights that you definitely must try when come to the restaurant! We started our meal with a big chunk of French Rib Eye (250g) featuring premium Charolais beef from France. The stunningly marbled rib eye is lightly marinated and grilled under the perfect heat for the beef to exude its beefiest flavors and maintain its high protein. 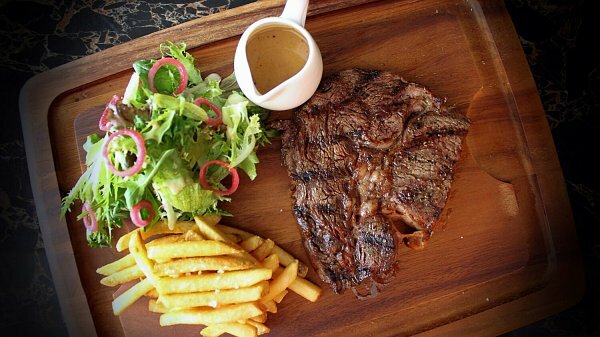 This perfect-for-gourmet steak served along with tasty shoestring fries and fresh side salad is a satisfactory indulgence that any steak fans would not resist. 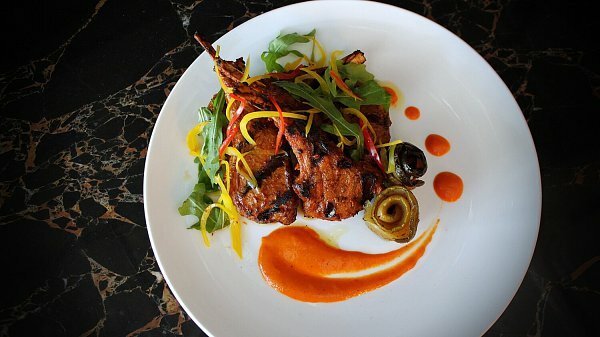 Another dish that captured our attention was a vibrant dish of Spicy Lamb Cutlet. The dish had such an irresistible aroma and eye-catching presentation that silently tempted our palate. Only the high-quality cutlets are hand-picked and marinated for hours to bring out the best taste before being grilled to à point. Expect a heap of piquancy and tender goodness on your tongue when you savor this delight! Don’t forget to enjoy the grilled eggplant and fresh rocket leaves that are set to balance the strong flavors of the lamb. 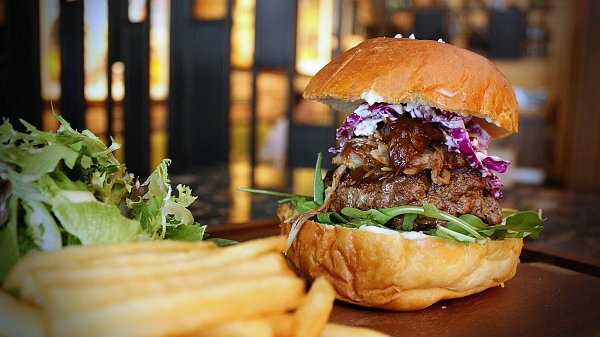 To finish our journey of gustatory fulfillment, we ended with a one-of-a-kind Mezze Burger including 250g of freshly ground beef patty and served with shoestring fries, a choice of panini or brioche bune! Such a big beef patty would require a skillful hand to be able to keep the beef moisturized while maintaining its doneness and this burger did not let us down at all! Not only juicy but the dish was really a delightful treat for its flavors thanks to the addition of whisky BBQ sauce, red cabbage slaw, mayo, lettuce. TABLEAPP ELITE Members can redeem these 3 dishes for free. Find out more about TABLEAPP ELITE Membership here.